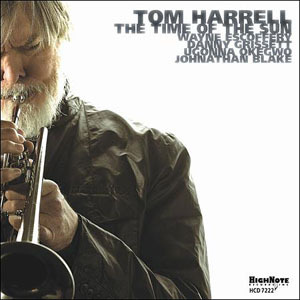 Since the 70s, trumpeter Tom Harrell has branded a prolific stature within the annals of modern jazz as an artisan who possesses an enviable technique marked by his exquisite phrasings, silky tone and fluid progressions. 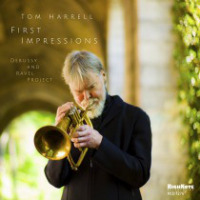 Even during pieces constructed on gutsy or penetrating ensemble work, Harrell has an uncanny way of dishing out ferocious licks with heartfelt overtones and a penchant for eloquently rebuilding themes and regenerating numerous slants on a given melody. Here, the trumpeter lines up with celebrated and eternally versatile bandleader, saxophonist Mark Turner (Kurt Rosenwinkel, OAM Trio). Whether preforming within traditional modern jazz frameworks or venturing into the outside schema, the saxophonist brings quite a bit of value to the table, partly evidenced by his recent solo outings for ECM Records and a productive discography, hearkening back to the mid-90s. Thus, Harrell cites this all-star aggregation as his "experimental" quartet, referred to as Trip. The quartet fuses harmonious content into movements created on searching thematic motifs amid capacious spots for the frontline's glowing improvisational segments. They execute a sense of urgency and meticulously raise the intensity levels but do not overcrowd the soundscape. Essentially, they offer the listener a chance to absorb the goodness via changeable metrics, airy bridge sections and the rhythm section's brisk support. It's a democratic engagement engineered with wide-open vistas, tricky time signatures and pithy unison choruses, brimming with up-tempo bop lines and some ferocious exchanges. Harrell and Turner deliver whirling choruses atop a rolling-wave like pulse and bassist Ugonna Okegwo's poignant ostinato pattern on "Windmills," as the hornists impart a touch of bravado, stoked by their scintillating dialogues. Whereas, the saxophonist's supple overtones and crafty diversions on the ballad "Coming Home," are gently tinted with vibrato and complemented by Okegwo's nimble lines. The Latin-jazz element has been a staplein various flavors and modalitieswithin Harrell's extensive body of work, and these aspects surge onward with the undulating finale, "There." With drummer Adam Cruz' upbeat pulse, the hornists' counterbalancing exchanges proffer thrills a minute. Moreover, Harrell's signature lyrical faculties come to the forefront with twirling ascensions and melodious inflections. Overall, Trip signifies one of the elite jazz releases of 2014. The musicians operate at the pinnacle of their respective capabilities throughout this captivating studio set that transmits a holistic view of Harrell's consummate artistry. Track Listing: Sunday; Cycle; The Adventures of a Quixotic Character – The Ingenious Gentleman; The Duke and the Duchess; Enchanted; Sancho and Rocinante; The Princess; Windmills; Coming Home; Coastline; After the Game is Over; There. 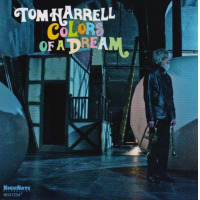 Personnel: Tom Harrell: trumpet, flugelhorn; Mark Turner: tenor saxophone; Ugonna Okegwo: bass; Adam Cruz: drums.